This Confined Space Training course is for people whose job involves being in confined spaces or poorly ventilated environments for all, or some of the time. It explains the dangers of this type of work to emphasise the importance of following all safety advice. Our course is RoSPA approved CPD accredited for your reassurance. A ‘confined space’ is defined as anywhere that is substantially enclosed (although not necessarily entirely), where a person may be at risk from injury from hazardous substances or lack of oxygen. Every year, around 15 UK workers are killed working in confined spaces and many more are injured. This kind of work can be extremely dangerous if the correct procedures are not followed. This Confined Space training programme defines what confined spaces are, why they can be dangerous, what the law says must be done, and how the risks can be minimised. It covers the different kinds of confined spaces, as well as how to perform proper risk assessments and understand correct emergency procedures. You may also be interested in our Working at Heights Training. This eLearning course only provides awareness education. Face to face training would be needed in addition in order to complete the all-round skills and knowledge to be able to carry this forward practically in your organisation. The Confined Space Training - Working in Confined Spaces course is broken down into 3 sections. 1) What is a Confined Space? Why are they dangerous? What is the definition of a confined space? And why are they dangerous? This section answers these questions, covering dangers such as - flammable atmospheres, hazardous atmospheres, hazardous temperatures, drowning and asphyxiation. It also looks at dangers specific to using particular equipment or substances and dangers associated with particular types of work. In this section we look at who is responsible for employees' safety. Before entering a confined space there are important checks that must be done. The atmosphere must be tested - the oxygen levels must be within safe limits and the same goes for flammability and toxicity levels too. We look at purging and ventilation, isolation, cleaning and lighting. Finally it looks at the equipment that might be needed - Personal Protective Equipment (PPE) and Respiratory Protective Equipment (RPE). This Confined Space Training - Working in Confined Spaces course concludes with a 20 question multiple choice test with a printable certificate. In addition, brief in-course questionnaires guide the user through the sections of the training and are designed to reinforce learning and ensure maximum user engagement throughout. Your Confined Space Training Certificate includes your name, company name (if applicable), name of course taken, pass percentage, date of completion, expiry date and stamps of approval or accreditations by recognised authorities. Based on 38 real user reviews. Easy to use and the topics were well covered. Read our full reviews for Confined Space Training - Working in Confined Spaces. The Regulations give effect as respects Great Britain to points 6.2 and 6.3 of Part A of Annex IV to Council Directive 92/57/EEC (OJ No. L245, 26.8.92, p.6) on the implementation of minimum safety and health requirements at temporary or mobile construction sites. Confined Spaces training also falls under the Construction Design Management Regulations 2015. You can view the iHASCO CDM guide here. Who is our Working in Confined Spaces Training for? Our Working in Confined Spaces training is particularly suitable for those (although not limited to) working in construction, installation and manufacturing, as these people are more likely to be working in confined spaces and poorly ventilated areas. Our course is suitable for all levels of staff - employees, managers and supervisors. A confined space is defined as an enclosed or partially enclosed space that is not primarily designed for human access. A space can also be ‘confined’ if its entrance or exit is restricted, either by means or size. Working in confined spaces can be extremely dangerous - most confined spaces aren’t even designed for human access! One of the most common dangers of working in a confined space is the atmosphere becoming oxygen deficient, this can lead to asphyxiation which results in either unconsciousness and in more serious cases even death. Placeholder image for How Much Space am I Entitled to at Work? How Much Space am I Entitled to at Work? Placeholder image for Confined Spaces: Are you aware of the dangers? 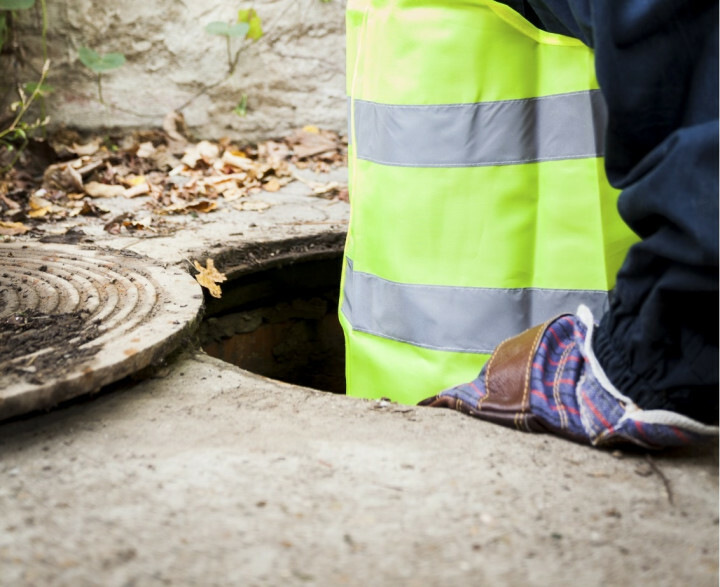 Confined Spaces: Are you aware of the dangers?